The headship of banking institutions is one job that comes with monstrous challenges, envisaged or unforeseen. 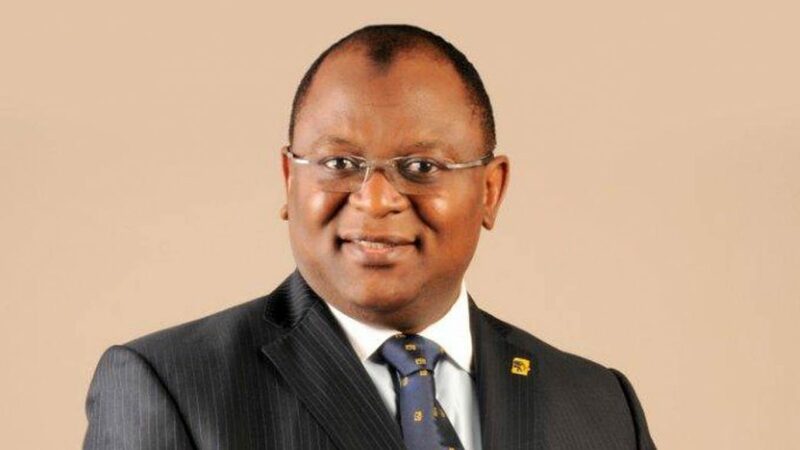 Almost all of Nigerian banks’ managing directors/chief executive officers always take over from their predecessors amidst jubilation and cheery smiles. But no soon had they taken their seat and settled to face the reality and enormity of the task before them than they began showing signs of rapid ageing. So when next you run into the Managing Director/Chief Executive Officer of First Bank of Nigeria Plc, Sola Adeduntan, chances are there would be bags under his eyes. The MD has finally burned through his euphoric spells of fantasy to chance on cold, brutal reality. Consequently, this has put the bank MD in a bind. First Bank currently groans under the weight of huge debts portfolio by its A-list customers. The bank’s debtors, comprising Nigeria’s superrich, have failed to refund loans taken from the bank to the extent that some of the loans have to be written off as bad debt. Consequently, Sola, the erstwhile sinewy and athletically-built MD is losing sleep over the huge debts. He has lost so much weight in the last couple of months, his eyes are sunken and his cheeks have lost their rosy glow. Although many of his business associates and subordinates initially passed his weight loss off as a deliberate effort by the MD to keep fit, now they know better. The financial situation of Nigeria’s premier bank which he is overseeing is stealthily taking its toll on him. Perhaps, Adeduntan has been having worrying sleepless nights lately; no thanks to unpalatable state of things FBN-Holdings: a decline in the bank revenue in the first quarter of this year and a huge debt portfolio does not like melodious music to the ears. FBN posted N138.9 billion revenue in first quarter, representing 1.6 percent decline from N141 billion posted in the same period in 2017. While the debt portfolio of the bank can only be traced to a time when his predecessor was managing the bank, he has inherited the tough task of retrieving bad loans running into tens of billions of Naira. Generally, Nigerian banks’ principal exposure to the energy sector has hit an all-time high of $12 billion, and recovery of larger percentage of these debts have become a tough task for the lenders. FBN is said to be one of those with very huge exposure which is fast proving to be unhealthy. Aside from the $500 million in principal exposure to the downstream sub-sector, Nigerian banks have reportedly staked over $11.6 billion into portfolios by local and international investors, who participated in the string of acquisitions in the oil and gas sector between 2010 and 2015 as well as the takeover of assets created from the defunct Power Holding Company of Nigeria (PHCN). Information available to TheCapital suggests that Adeduntan might have adopted an iron fist approach to recover a substantial sum of these loans by resorting to collateral takeover. In fact, our source reveals that he has constituted a team charged with the recovery responsibility with periodic targets, and that the team is already making some progress, though with snail speed.